Finland's Metso, a manufacturer of equipment for the mining and construction industries, has announced plans to build a plant for the production of wear parts of the equipment. The company also plans to create a platform for the assembly of pump equipment. Most likely, the production will be set up in St. Petersburg and the Leningrad region, said the vice-president of "Metso Minerals CIS" Alex Muzychkina. The volume of investment and the time needed to create the plants is not yet known. Most likely, the company will produce screens, consumables for the screening equipment. Construction is planned in connection with the plans of large-scale development of the Russian branch of the concern. Over the next 5 years, Metso Mining and Construction Russia &CIS plans to achieve a turnover of 1 billion euros and enter the three largest markets in terms of volume of orders. Now they are the U.S., China and Brazil. In 2011 the volume of orders the company has grown from 116 to 247.3 million euros, including 25 to 31 million euros — orders the direction of Construction. Sales for the same period increased from 101.6 million to 135.3 million euros. "The share of the market of equipment for the mining industry, occupied by Western companies will increase in the coming years," — said Alexey Muzychkina. In total, the company's development in Russia for two years plans to invest 30-40 million euros. These funds will be used to develop a network of representative offices, logistics infrastructure and the construction of storage facilities. In St. Petersburg, in 2011 the company has increased its leased from ZAO "Schenker" storage area of more than 2 times. 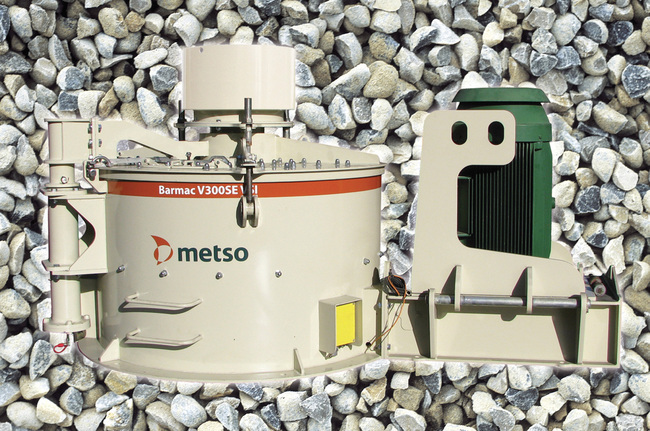 Metso equipment is included in the top end of the market. Concern sells equipment for electric power automation, recycling of construction materials, production of aggregates, mobile crushing and screening equipment, etc. Metso customers in the North West are the companies' Transstroi "," Beaton "," Granite Blacksmithing "," BAT "," Evrotsement "," Lenstroykomplekt "and" Lafarge cement. "